Before retiring in July 2012, Beck was Distinguished Professor of Social and Behavioral Science and Professor of Political Science with courtesy professor appointments in the School of Communication and Department of Sociology at Ohio State; Dean of the College of Social and Behavioral Sciences at Ohio State; and Chair of its Department of Political Science. His articles on political parties, voting behavior, and public opinion are published in leading disciplinary and interdisciplinary journals. He was author/co-author of Party Politics in America (1988, 1992, 1997, 2001) and co-editor of Electoral Change in Advanced Industrial Democracies (1984). His co-edited book Voting in Old and New Democracies, based on Comparative National Election Project (CNEP) surveys of the electorates in 26 elections in 18 countries, was published by Routledge in August 2015. His current research is focused around themes studied in the CNEP, which now includes over 30 surveys through 2015. 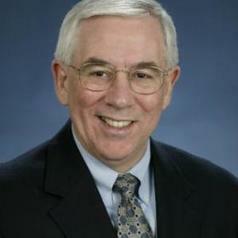 Beck has received the Distinguished Scholar and Distinguished University Service awards from Ohio State University and the American Political Science Association’s Goodnow Award for distinguished service to the profession and its Eldersveld Award for lifetime professional contributions to the field of political organizations and parties. He is a regular commentator on American politics for a variety of international, national, and local media.